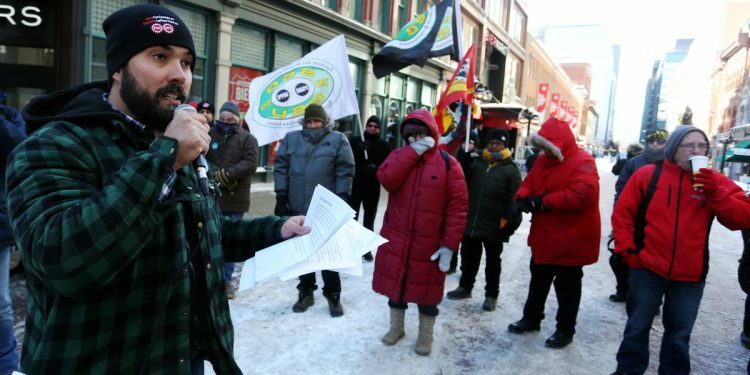 About 30 union members braced the frigid -20 C temperatures Jan. 28 to raise awareness of the campaign, called the Heat is On, and collected more than 275 signatures for their petition to have the privatization stopped. More than 80 federal buildings, including those in the Parliamentary Precinct, are heated and cooled by 14 kilometres of underground pipes filled with steam generated at five heating plants in the NCR. One of the main ones is the Cliff Plant behind the Supreme Court of Canada. The government is currently in the process of choosing one of two private-sector consortiums (Innovate Energy or Rideau Energy Partners) to design, finance, modernize, maintain and operate heating plants for a 30-year contract under a public-private partnership. 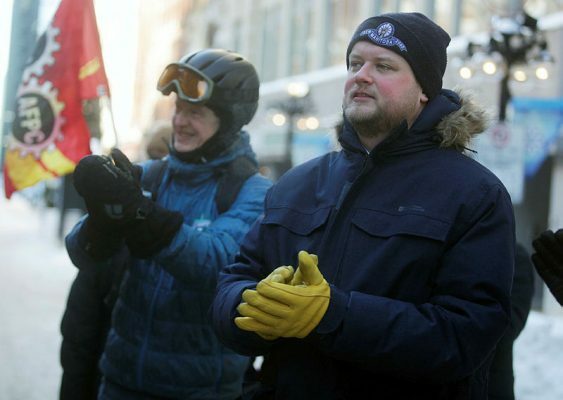 Alex Silas, the alternate regional executive vice-president for PSAC, said his main concern is for the health and safety of both its 60 members who work at the plants, as well as the 50,000 workers—many of whom are PSAC members—who work in the buildings. PSAC represents 140,000 federal workers across the country. “We’re concerned that there’s going to be problems,” Mr. Silas said, adding PSAC’s members working at the plant have been trying to tell the government that the plans coming in from the consortiums don’t make sense. The union is calling on the government to put an end to the privatization process, and asking it to meet with plant workers to develop a plan that will reduce environmental impact, reduce energy costs, and enhance overall safety; starting the modernization process after that. The group has been, so far unsuccessfully, asking for a meeting with Environment Minister and Ottawa Centre MP Catherine McKenna. The Hill Times reached out her office for comment, as well as Public Services and Procurement Minister Carla Qualtrough (Delta, B.C. ), but neither responded by deadline. PSPC spokesperson Pierre-Alain Bujold refuted the union’s concerns, saying in an emailed statement that the private sector operator will be “subject to the same health and safety regulations and standards once they take over operations,” and the contract will include provisions to hold the private sector operator accountable to performance standards. NDP MP Daniel Blaikie (Elmwood-Transcona, Man. ), his party’s public services and procurement critic, and NDP Ottawa Centre MPP Joel Harden both attended the noon-hour rally, along with Professional Institute of the Public Service of Canada (PIPSC) vice-president Stéphane Aubry, who represents the engineers and other professionals in the plants. PSAC contends that government shoulders all of the risk in these types of projects, which Mr. Silas said are often delayed and over budget. Mr. Bujold said two of the five plants are already operated by the private sector, and that 35 heating plant operators in the three plants currently operated by PSPC would have their jobs impacted by the project. The government is also working to change the heating system from steam to low-temperature hot water, a move expected to reduce emissions by more than 30 per cent. Without modernization, it will cost almost $4-billion to heat and cool the buildings over the next 40 years, a government webpage about the project said. The modernization efforts are expected to save $750-million over that time, Mr. Bujold added. Along with the increase in precarious work that privatization brings, Mr. Silas said he is concerned about the health and safety of the workers in the buildings. Hot water also takes longer to empty out and repair, he said, which could leave office buildings freezing, or computer server rooms overheating, in the meantime. Additionally, he said environmental issues could pose a challenge. The water would likely be emptied into the Ottawa River, he said, and if not treated properly, could pose health concerns. Mr. Bujold said that while hot water systems take longer to repair, the system operates with less pressure and therefore statistically fails less frequently.